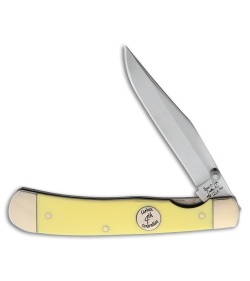 Proudly made in the USA, this knife has classic good looks at a good price. 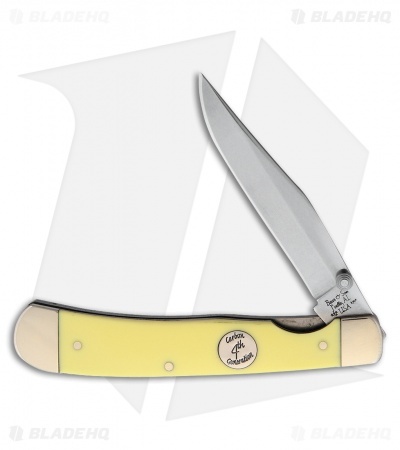 Part of the Bear & Son 4th Generation series, the Rancher folder is sleek and easy to carry. Satin finished 1095 steel clip point blade with a thumb stud opener. Yellow delrin handle with a 4th Generation inlay shield and nickel silver bolsters.